In need of the perfect gift for your “Endurance Junkie” friend who always seems to have the latest and most up-to-date gear? Check out our freshest and most exciting gear recommendations for all things adventure! This shoe was developed for runners to extend their outdoor running season, by keeping the most dedicated runners' feet warm and dry when tackling the harshest elements. 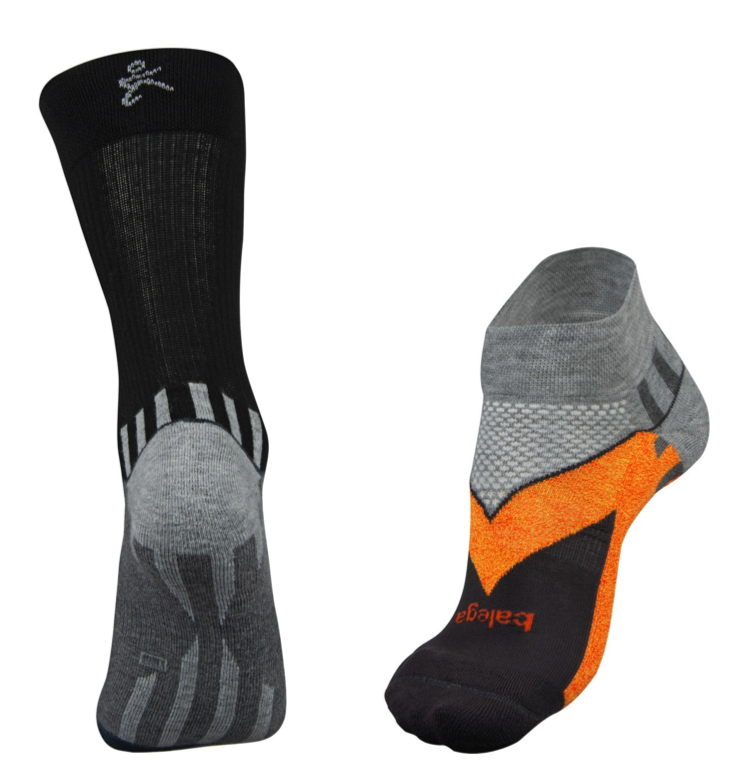 This is designed for the runner who won't stay inside when the weather isn't conducive for running. The shoe features high-tech water resistant, thermo-regulatory, and high-traction materials in the upper and outsole without sacrificing breathability, smooth transition, and lightweight. They are digitally connected so every run is automatically logged and can be analyzed via MapMyRun. 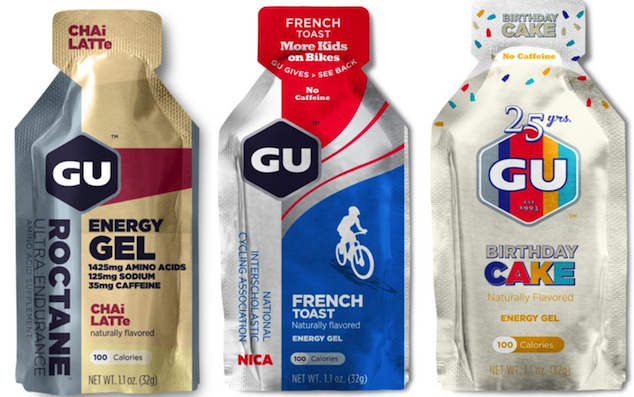 GU recently released several new tasty stocking stuffer-worthy Energy Gel flavors including CHAi LATTe, NICA French Toast and Birthday Cake. Through the GU Gives program, 10% of the sales from this energy gel will be donated to support NICA leagues across America to help more kids get on bikes. 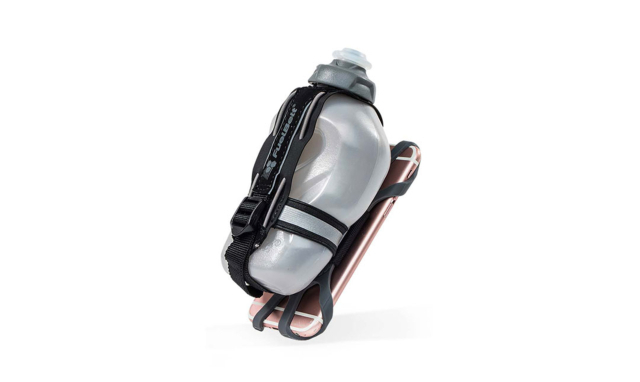 The Tech Fuel Handheld combines tech storage and hydration to provide a hydration option that keeps your mobile device secure. This lightweight handheld features a top-shelf dishwasher safe, BPA free bottle with an ergonomic comfort grip design. Its one-of-a-kind secure holder fits standard devices for on-the-run phone access. These warm tights are a winter running essential! The merino wool in the back, stretchy, windproof and water-resistant panels in the front, and mesh inserts on the sides ensure a warm and comfortable fit. The reflective details make sure you are seen in dark conditions. Perfect for changing weather conditions, this lightweight, slim fit jacket is another winter running essential. The highly elastic two-layer softshell is water repellent and breathable. The jacket features mesh ventilation and elastic panels for mobility. The reflective details, articulated sleeves, zippered pockets and adjustable hem make this versatile jacket ideal for extending the running season. 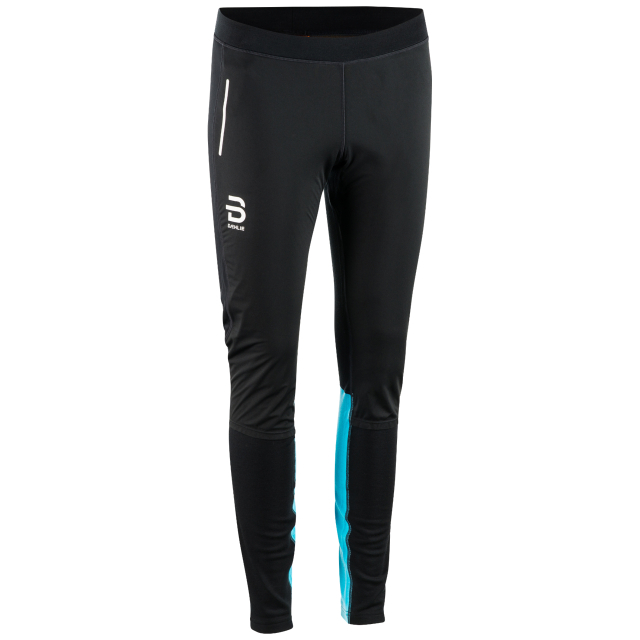 A traction device designed to meet the needs of runners braving the winter elements. Run naturally on packed snow and ice with the Yaktrax Run’s combination of removable spikes and steel coils, providing 360° of unbeatable traction. The Yaktrax Run can be worn in temperatures as low as ‑41° Fahrenheit. This ultra-light (35 g) headlamp fits in the palm of your hand. With 200 lumens of power, it is ideal for anyone traveling who wants a reliable headlamp that doesn't take up space in their bag. Perfect for everyday activities and regular training around town or in the mountains, this headlamp conveniently charges via USB cable. The thin headband adjusts easily and can also be worn around the neck. SCARPA’s best all-around trail runner with a waterproof upper to add even more versatility, the Neutron 2 GTX features an open forefoot flex zone and sole pattern designed for added traction and durability, ensuring you get your miles in no matter what the weather has in store. Men’s and women’s styles available. A collapsible flask with a .01 micron microfilter to protect users against harmful organisms like bacteria and cysts. The Katadyn BeFree microfilter is tested to its end of life (1,000L) in extremely challenging waters and meets EPA and NSF protocol in microfiltration. The filter’s Free Flow Channels nearly double the flow rate of other microfilmers at approximately 2L per minute. No backflushing. No clumsy tools. Simply shake or swish the EZ-Clean Membrane in the water and be on your way.